In Mykonos, adrenaline runs at extremely high rates, day and night, during the whole summer. Especially for those who believe that holidays should be a lot more that just resting under the sun and swimming, the island offers a great variety of adventurous fun, for every taste and… stamina! 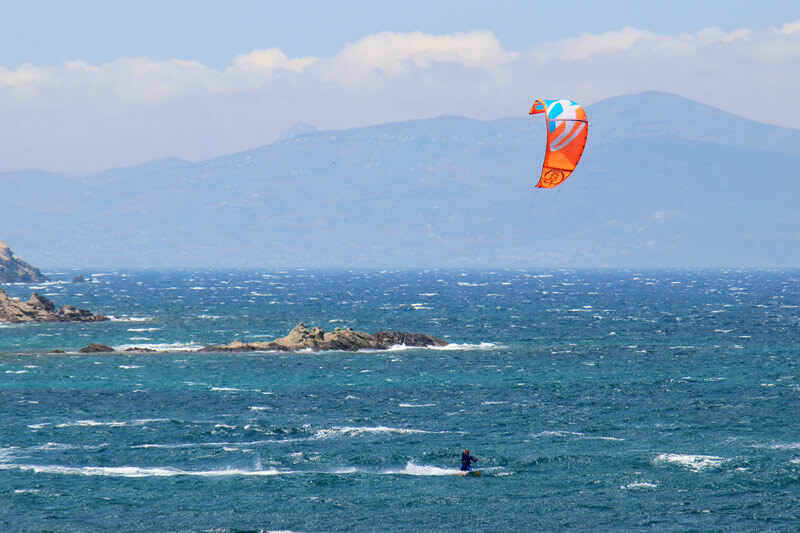 Water sports: it is the “goes without saying” activity in most Mykonos beaches as it doesn’t require any professional skills or experience. You will be guided through it by qualified instructors who will make sure that you will end up a champion! Water sports and games include the famous “Banana”, tubes, parachute, surfing, wind surfing, SUP, wakeboard, kneeboard, diving, water skiing and much, much more! Motor yachting, sailing: it’s all about the unique experience of swimming in small, deserted bays with turquoise waters, enjoying an exclusive private dinner with no other company than this of the stars or touring around the Cyclades. Renting a vessel in Mykonos –from a traditional, handmade “kaiki” fishing boat to a mega yacht- is easy as there are many agencies on the island, eager to satisfy your wishes. Allow us a useful tip, though: even if you have a sailing license, do not deny the services of an experienced local skipper as handling the strong summer “meltemi” winds requires a lot of expertise! Diving: try the lifetime experience of discovering the underwater magic of the deep crystal clear Aegean Sea. There are many diving schools in Mykonos offering excursions to certified divers and training for beginners. The waters around the island are safe with a high visibility and many interesting treasures to discover. All you have to do is follow the instructions of the experts and… breathe! Apart from the above aquatic activities there are a lot more, offering fun and excitement. Horse riding could be one of them. The riding clubs organize guided tours to beautiful landscapes and provide the necessary equipment. There is also the possibility to rent soccer, football and tennis courts for your own private tournaments!